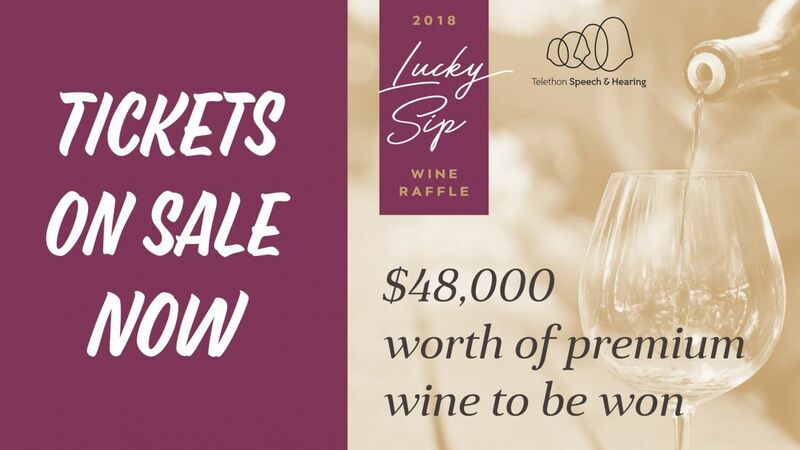 Telethon Speech & Hearing’s Lucky Sip Wine Raffle is now open! Each ticket costs $200 with all proceeds supporting WA children and families impacted by hearing, speech and language difficulties. Please call (08) 9387 9888 or email luckysip@tsh.org.au to purchase your tickets. There are only 164 tickets available with $48,000 worth of premium wine to be won! All wines are fully donated so that funds raised directly assist Telethon Speech & Hearing in supporting Western Australian children living with a hearing, speech or language impairment. Click here for more details on Lucky Sip, including the full list of wineries for 2018.